Square Enix recently released its latest guide book in the Ultimania series, covering Kingdom Hearts 3D for the Nintendo 3DS. The guide book included an interview with series creator Tetsuya Nomura, discussing the future of the series. Nomura stated that a major announcement regarding the series will be made soon. The interview doesn’t specify when the announcement will be made, but fans can look forward to hearing the news. It is suggested that the announcement may be about Kingdom Hearts III, due to previous interviews stating that the story for Kingdom Hearts III will succeed the events of Kingdom Hearts 3D. This would make the next Kingdom Hearts title to be released on a home game console, as the previous titles in the past five years have been on portable game consoles. In addition, Nomura stated that there are no plans for an update to Kingdom Hearts 3D or a sequel to Birth By Sleep, further suggesting the reveal of a new title. 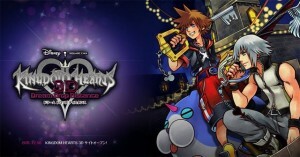 Kingdom Hearts 3D is one of the games to be featured by Square Enix in the upcoming E3 2012. The game was released in Japan in Spring 2012, and will be released in North America this summer. It is possible that this new announcement may come at E3, although it is not certain.